One of the first questions most people have when considering bankruptcy is “what will happen to my car?” The answer to that question depends on your circumstances, but most people are happy to learn that they have nothing to worry about. 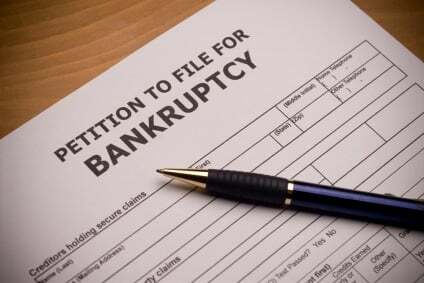 Bankruptcy law is created to give people a financial fresh start. Depriving someone of a car is not much of a fresh start. The law recognizes that cars are essential for reorganizing your financial life, staying employed, and moving forward. There are two primary concerns in bankruptcy as far as your car is concerned: what is its value and is there a lien on it. A lien is a security interest on the car to guarantee payment of a car loan. The value to you (and potentially your creditors in bankruptcy) is the car’s equity or its value minus the balance of any loan secured by a lien. As far as the car’s value is concerned, you are protected from having the car liquidated in a Chapter 7 by exemptions. There is a specific car exemption under both state and federal law, around $3400 for each. You can stack the wildcard exemption on top of the car exemption as well. The wildcard exemption under state law is $3,000 and federal law is $11,975. Again, the only value you have to worry about is the equity in the car. If for some reason you can not protect the car with exemptions, you can file a Chapter 13 and pay the non-exemptible equity that would have gone to creditors through a sale of the car in payments through a Chapter 13 plan. You just have to pay what the creditors would have received through the sale in monthly payments up to a five years. In a Chapter 7, you can often offer the trustee some cash in lieu of a sale of the car. That way the trustee can avoid having to sell the car and may accept a little less. Of course, you have to have some way of coming up with the cash. If you are making payments on the car and you filed a Chapter 7, you have three options. You can surrender the car and walk away from the loan. You can reaffirm the debt. A reaffirmation takes the car loan out of the bankruptcy so you should be careful about signing that. The third option is a redemption, where you pay off the loan at the value of the car. Some finance companies specialize in loaning money to people in Chapter 7 for a redemption. Of course, redemptions only work if the car is worth significantly less than the loan balance. In a Chapter 13, you can pay off a car loan over five years. You can also cram down the car loan if the car was purchased over two and a half years ago or if the loan is “non-purchase money security” such as title loan or refinance. A cram down is the ability to pay the value of the car to the creditor and pay pennies on the dollar for any amount of the loan that exceeds the car’s value. You can also surrender the car in a Chapter 13. Have any questions about your car in bankruptcy? Contact the trusted bankruptcy lawyers in Tacoma, Washington.